Here is the podcast version of our first programme from this year’s Online Educa Berlin. More details will follow. Last week I took place in a seminar on mobile learning – called SOMOBNET, organised at the Institute of Education in London and supported by the EU Stellar network. A few things from the seminar have kept me pondering in the days since. Firstly, it seems that although there is a lot of anecdotal evidence as to the widespread use of mobile devices in the workplace – and I think we could speculate that such usage is including learning if only in the form of ‘ring a friend’, we have few if any studies such informal use. Furthermore the present frameworks and theory of mobile learning are very much based on the use of technology for learning within formal educations settings and are of limited relevance to the ways we are using mobile devices today. 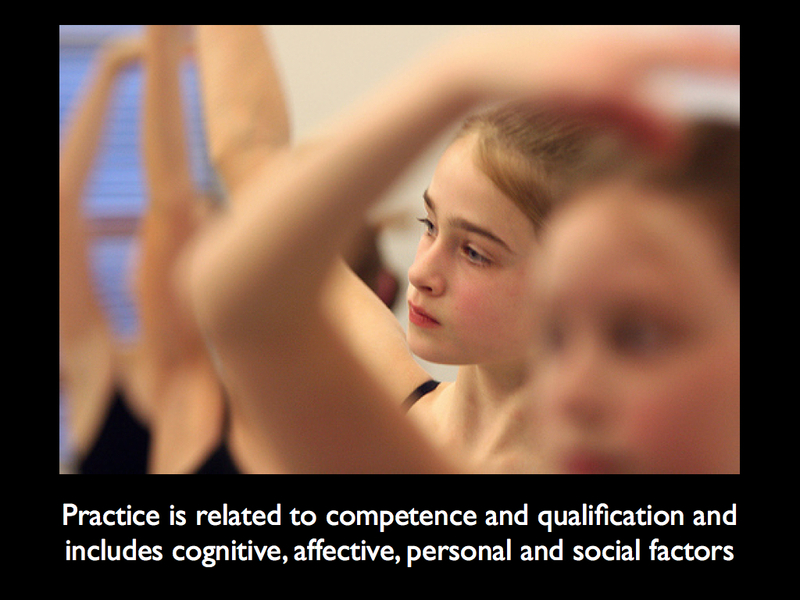 To develop such a theory I think we need to look more closely at the nature of practice. I included two slides on practice in my presentation at the seminar (click on slides below to see full size versions). 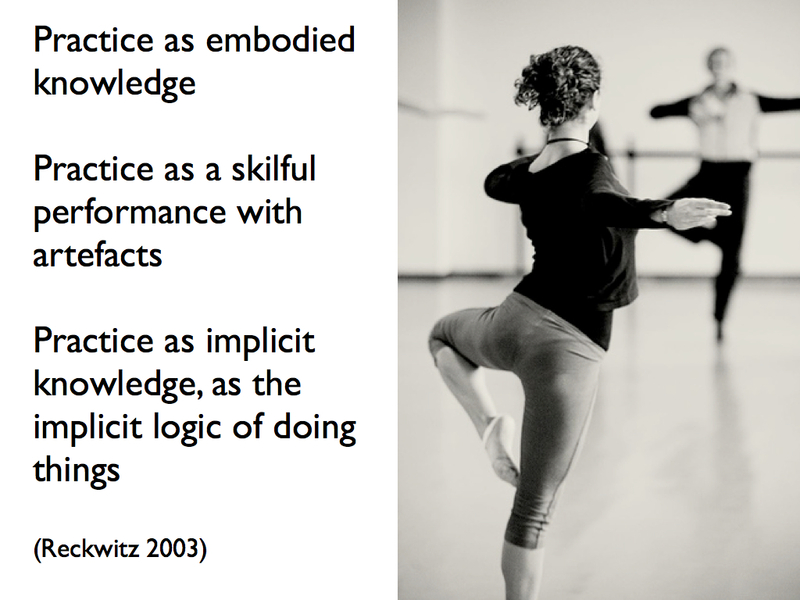 Yishay Mor tweeted something like ‘Attwell is proposing practice as an alternative to competence’. I had not realised I was doing that, but thinking further on Yishay’s tweet it makes some sense. Competence as a construct is clearly alienated from the reality to work practice. Yet we have needed such constructs just because we have been unable to directly capture practice as it happens. 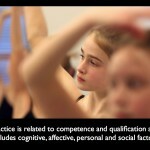 Furthermore learning and knowledge development have also largely been seen as happening at a distance form practice, through formal curricula and in training centres. The ability to use mobile devices directly in the work process and to capture those work processes through new media removes the need to mediate through externally and often expert derived competence constructs. More on this to come. In the summary discussion chaired by Sonia Livingstone, I once more reiterated my opinion that mobile devices were most interesting for learning in the context of vocational education and training and occupational practice. Sonia threw me a little when she asked me if this was because I despaired of the school systems. I am not a great fan of secondary schooling systems which I think are largely dysfunctional. But that is not the reason why I am so interested in the potential of mobile devices for learning at work. I see teh ability to use such devices as extending access to learning to the many people who are outside the formal education sector. And I tend to feel that both research and practice in the use of mobile devices will be held back whilst it remains the preserve of educational researchers working from a schooling paradigm. This week is Online Educa Berlin, Europe’s largest e-learning conference. And we will be there, presenting a full programme of internet radio programmes on the Sounds of thee Bazaar in conjunction with DS106. If you are at the conference, come and join us. If not just tune in live. Are you interested in internet radio? ONLINE EDUCA BERLIN has its own radio channel this year, provided by Pontydysgu. You are invited to take part as a guest on the programmes or to help produce the shows. In the first of a four part series, we will capture delegates’ expectations of this year’s conference and highlights from the pre-conference events. We will be talking to the organisers about behind-the-scenes activity, as well as asking exhibitors why OEB is important to them and giving speakers the chance to advertise their sessions. In the second installment of this four part series, OEB will host its very own live radio debate. With a colourful panel of experts responding to your topical, polemic or simply whimsical questions about technology and learning, there will be plenty of chances to fight back. The audience and panellists will be kept under control by our ruthless chairman, Graham Attwell. In this third session of OEB Live Radio, participants are offered the opportunity to dig in for a hands and ears-on radio experience. What is internet radio? How can it be used for teaching and learning? What equipment is needed and how much does it cost? This workshop will answer these questions and more. You will also have the chance to create content, structure programmes, learn presenting, interviewing and studio skills and put them into practice for Friday’s live radio show! This workshop will be located in the Conference Lounge, on the first floor of the conference centre. In the final Live Radio session, there will be a full hours’ programme of news, views and gossip. The programme will include interviews with speakers, as well as a chance to catch up with key issues from sessions you missed. You will have an opportunity to hear feedback from delegates and if you wish, a chance for you to contribute your opinion. For the first time at ONLINE EDUCA BERLIN, this live radio programme will be produced by OEB participants, cast from Thursday’s Radio Workshop. That technology is a disruptive element in education is hardly a new idea. What perhaps is new is that the disruption is becoming a subject of debate in the popular press and by bloggers outside education technology. And in the process the debate is being mightily confused, perhaps deliberately. Take, for example, the recent blog entitled ‘Why online education is ready for disruption, now‘, written by online journalist Courtney Boyd Myers about a talk by Clayton Christensen, who quotes an article by Alvin Tofflers “The Third Wave” at Edutopia. So far so good. The article goes 0n to document the rise of online education in the USA. And then this is used to slag off Harvard as making no investment in making its teaching better in comparison tot he university of Phoenix, which it claims is investing 200m dollars a year in improving teaching. The school heaps more than $100 million a year into measured media alone and is a highly efficient marketing machine that spends more each year than Cheerios or Tide. In a field where most old-line universities spend a few million a year at best, the University of Phoenix is an anomaly for its approach to both education and marketing. It’s the country’s largest private university, with more than 400,000 students and 230 campus and learning-center locations. Its parent, Apollo Group, posted more than $3.1 billion in revenue during fiscal 2008 (Phoenix represents about 95% of Apollo’s net revenue). In the interview Chrsitensen goes on to compare teachers with the Luddite movement in the UK, popularly regarded as a metaphor for resisting technology. What is not pointed out was that the Luddites were protesting aginst lack of jobs due tot he introduction iof technology, not against technology itself. However that word ‘marketplace’ is revealing. The privatisation of education is being presented as progress, as inevitable progress driven by disruptive technologies. Its a lie. And is not good for anybody, except for advertising agencies and private corporations. A number of years ago I did a couple of studies, funded by the European Commission on the use of technology for learning in Small and Medium Enterprises (SMEs). SMEs are defined by the European Commission as those employing less than 350 employees. My overall conclusions were that whilst few enterprises were using Virtual Learning Environments or indeed any other formal e-learning platforms or technologies for learning this did not mean that learning was not happening. Instead many employees used computers everyday for informal learning. Learning was motivated by the need to solve problems in the workplace or surprisingly often by curiosity and interest. The technologies employed varied but they included Google, Bulletin Boards and email. Ask-a-friend was a common pedagogic strategy. Now several years on, the European Commission’s Research Programme on information technologies has launched another call for projects designed to crack the perceived issue of the lack of use of Technology Enhanced Learning in SMEs. And they still haven’t got it. They seem to have an assumption that there are hard to reach sectors or that the technology just isn’t good enough. Or, often is cited, the lack of access to hardware and connectivity. Of course, since I did my orginal study, there has been considerable changes in technology. The biggest is probably the widespread use of mobiles, (handys, GSM, cells), many of them internet enabled. But talking to employers this week I don’t see many changes in how the internet is being used for learning. There is one big change though. The employers I have spoken to are aware that computers can facilitate learning and knowledge exchange and support those processes. Back before few employers even knew their employees were involved in learning (mind, many of the employees also didn’t call it learning!). but the learning processes remain informal. Human communication is most valued, albeit technology mediated. There remains little take up of formal e-learning programmes. There does seem to be an increasing awareness of the need to link learning and information and knowledge management processes. There is also intense interest in the ability of new technologies to be utlisied at or near the work process and to support the development of what I call work process knowledge or developmental competence. The concept of Work Process Knowledge emphasises the relevance of practice in the workplace and is related to concepts of competence and qualification that stress the idea that learning processes not only include cognitive, but also affective, personal and social factors. They include the relevance of such non-cognitive and affective-social factors for the acquisition and use of work process knowledge in practical action. Work often takes place, and is carried out, in different circumstances and contexts. Therefore, it is necessary for the individual to acquire and demonstrate a certain capacity to reflect and act on the task (system) and the wider work environment in order to adapt, act and shape it. Such competence is captured in the notion of “developmental competence” (Ellstroem PE, 1997) and includes ‘the idea of social shaping of work and technology as a principle of vocational education and training’ (Heidegger, G., Rauner F., 1997). Work process knowledge embraces ‘developmental competence’, the developmental perspective emphasising that individuals have the capacity to reflect and act upon the environment and thereby forming or shaping it. In using technologies to develop such work process knowledge, individuals are also shaping or appropriating technologies, often developed or designed for different purposes, for social learning. it seems to me that if we really want to introduce Technology Enhanced Learning in the workplace (and especially in SMEs) we have to find ways of supporting the development of work process knowledge and developmental competence. The problem is that most formal elearning programmes are tied to very traditional notions of competences, which are often only loosely connected to practice. This is one of the reasons I like the idea of rhizomatic knowledge, as put forward by Dave Cormier and currently being discussed on the #Change11 MOOC. Rhizomatic knowledge in the sense of work process knowledge is generated by practice in communities and technology can be used to scaffold the development of developmental competence through practice (incidentally I think this overcomes many of the objections to the idea of rhizomatic knowledge as discussed on Dave’s blog). This great infographic is by visualeconomics. What a difference the Creative Commons License makes. Happy birthday to icould! We launched icould two years ago this week and although we are still in our infancy, we are growing well and becoming better known. We’ve doubled the visitor numbers to icould.com in the past year and also now have icould content streamed on key sites such as Guardian Careers, Career Wales, Skills Development Scotland, TES and the Frog schools learning platform, extending icould’s reach to millions of young people across the UK. We’ve continued to add to our career videos and written content, with recent additions featuring advice on student finances and more practical tips for getting a first job. We’ve also created a new ‘Focus On’ area, designed to demystify certain sectors and types of work, exploring all the jobs and career possibilities within that theme. These Focus On areas consist of around eight to ten new video stories, new written content, competitions and specific guidance on training opportunities and company information. Focus On Music was the first new area on icould.com sponsored by BlackBerry. Launched over the Summer, it looks at careers of people behind the stars in the music industry. Focus On Music profiles the unseen heroes behind a music star, for example Jesse J’s choreographer and music video director and Tinnie Tempah’s publicist and photographer. We wanted to show that you don’t have to be behind the microphone to have a successful career in the music industry and hopefully we give young people an insight into the breadth of careers within the industry. This area was launched in July and has attracted considerable media attention as well as several successful partnerships, one with the iconic NME which has resulted in an icould user being offered a work taster experience with the Editor. We have also created some new free teaching resources to complement this new initiative. We’ve recently launched the next area, a Focus On Finance sponsored by Standard Life, which looks at the range of careers and skills needed in the Financial sector, proving that you don’t have to be an expert with numbers to work in finance! We have a number of other areas in the pipeline, including a Focus on Media, which will launch in the New Year. Unless otherwise stated, icould owns the intellectual property rights in the website and material on the website. All these intellectual property rights are reserved. Unless otherwise stated, you are entitled to use the icould website for personal use in any way, providing you do not reproduce any of the information as your own and/or seek to profit from it. Personal use constitutes viewing the icould website online and printing pages and/or documents for review offline. If you wish to reproduce any materials accessible on the icould website including information, graphics, images and other design elements in printed or electronic form, you must obtain written permission first. Please use the contact details at the bottom of this page if you need to obtain permission. This licence gives you permission to broadcast icould.com pages over the school network or use them on a whiteboard in a classroom. You can circulate articles, use the worksheets and so on. This applies in any education or training context. You can copy, distribute, transmit the work and display the material with the exclusion of full length versions[i] of stories. You may create derivative works with the exclusion of full length versions of stories. Attribution: You must give icould credit and make clear the resources come from icould.com. Non-commercial: You may not use this work for commercial purposes or make any charge for the work. Share Alike. If you alter, transform, or build upon this work, you may distribute the resulting work only under a licence identical to the Creative Commons licence. Not only that, but icould provides an API key to make it easy for developers to incorporate icould materials in their own sites. There is a lesson here for developers and content providers and indeed for many education and learning projects. Few of us have the clout to make it on our own. But through allowing use of our materials and projects we can build impact on a vastly greater scale. And whilst going creative commons closes off some business models it opens up others. Congratulations to icould for opening up their content. And happy birthday. Lets hope they continue building on the success they are presently enjoying. its that time of year when we turn our thoughts to the annual Christmas ed- techy fest that is Online Educa Berlin. 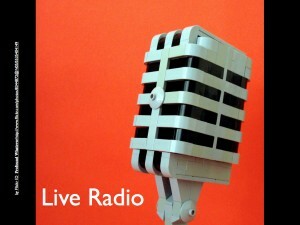 For the last few years we have run live conference radio – The Sounds of the Bazaar from the conference. And a lot of fun it has been, too. But this year we wanted to do something a bit different. We wanted to provide a workshop for those interested in internet radio. And we wanted to experiment with new formats. So here is the line up. Our first day programme will capture delegates’ expectations of this year’s conference and highlights from the pre-conference workshops. We will be talking to the organizers about the behind-the-scenes activity, some of the exhibitors about why Educa is important to them and giving speakers the chance to advertise their sessions. Educa’s very own live radio debate with a colourful panel of experts responding to your topical, polemic or simply whimsical questions about technology and learning with plenty of chance to fight back. Audience and speakers will be kept under control by our ruthless chairman Graham Attwell. What is it? How can it be used for teaching and learning? What equipment is needed and how much does it cost? 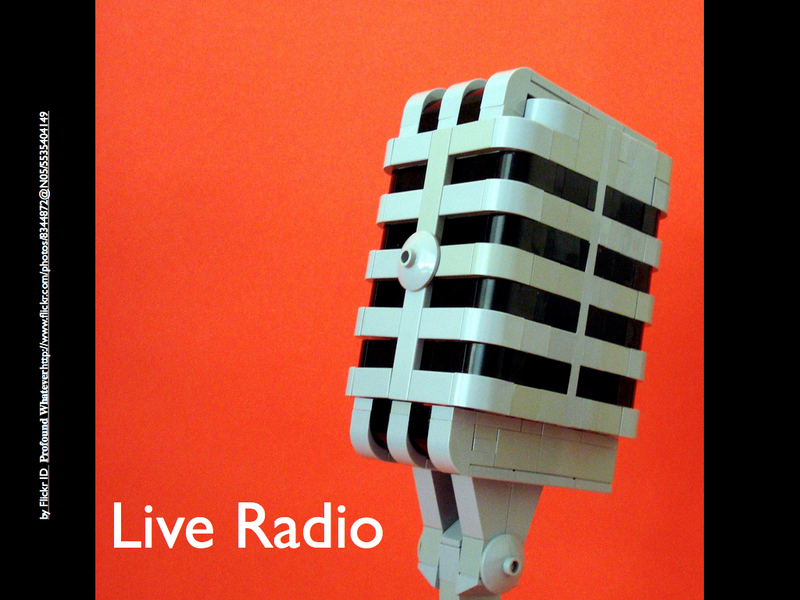 Also your chance to create content, structure programmes, learn presenting, interviewing and studio skills and put them into practice in Friday’s live radio show! A full hours’ programme of news, views and gossip. There are interviews with speakers, a chance to catch up with key issues from sessions you missed, feedback from delegates and opportunities for you to contribute. For the first time at Educa, the programme will be produced by participants from Thursday’s Radio workshop. Are you coming to Educa? if so there will be lots of chances to join in – as part of the audience in Question Time or through the workshop and live programme on Friday. or perhaps you have an idea or project you would like to talk about on the programmes. And even if you can’t make one or more of the sessions, we are always happy to catch up over a pint in the bar! Just twitter, email or skype us. The latest in our occasional series of blogs about data. Although in education much of the emphasis has been on viualising data as an aid to teaching and learning, or to explore network effects, the use of data can be a useful research tool. This simple visualisation below, posted by Mike Herrity on twitpic, shows the depth and length of the present economic recession and also, I suggest, the total failure of political and economic policies to deal with the recession. Th second visualisation also deals with politics and economics. It comes from research by the Guardian Data Blog, following the demands of the #OccupytheCity movement in London for the democratisation of the City of London. The City of London is run as a state within a state at the moment, with its own police force and governance, and with companies allowed multiple votes in elections, dependent of the number of employees. Unsurprisingly the finances of the City of London are less than transparent. however, the Guardian did mange to obtain some details about expenditure and produced the following visualisation using the free IBM ManyEyes tools. Mike Herrity shared his picture without comment. The Guardian appealed for readers help in further investigating the city of London finances. essentially both visualisations can form part of a distributed and loosely coupled research effort, with materials openly published being able to be reused and repurposed in education and in research. UK apprenticeships just rebranded short training courses? I have written several posts about the UK government’s new apprenticeship schemes. Although welcoming the attention being paid to apprenticeship, I drew attention to concerns about the quality and length of the new programmes, questioning whether many of the programmes could really be called apprenticeships. I also drew attention to concerns that allowing any short course to be called an apprenticeship would damage the credibility of apprenticeship schemes and qualifications. Now it seems that senior officials at the UK government Department for Business, Innovation and Skills, responsible for the development of apprenticeship schemes, have expressed similar concerns. A report in the Guardian newspaper says discussions over the past fortnight between senior officials have described politicians’ claims about the high apprentice numbers as “dishonest” as they do not reflect the actual demographics of those involved. The Guardian says: “The government document acknowledges that problems of quality had been raised. in diminishing of quality has had been raised with them. “Growth review consultees have registered concerns about the quality of some apprenticeships, focusing in particular on the intermediate level dominated expansion, the value of some shorter apprenticeships and the increasing number of existing (older) employees in the programme.” It reports that the department has been warned “not to undermine the apprenticeship brand”. However she goes on to suggest that many of these are following courses rebranded from the previous Labour government’s Train to Gain programme, scrapped after critical Audit Office reports. “Over-25s account for 40% of the total number of new apprentices. The growth in the number of under-19s starting apprenticeship has slowed. In the last academic year, it grew by 10%, from 17.5% the year before. Then there’s the equally problematic issue of what sectors these apprenticeships are in. Ministers want the economy to be less reliant on retail and more on construction. Posted in education, G8WAY, politics, trainers, Wales Wide Web | Comments Off on UK apprenticeships just rebranded short training courses?